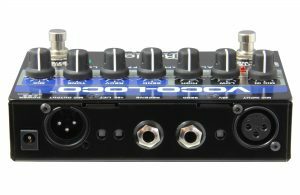 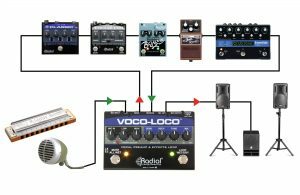 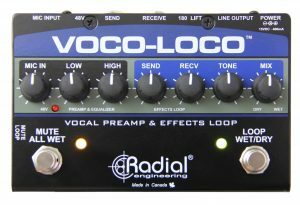 The Voco-Loco combines a microphone preamp with a guitar pedal effects loop, allowing a lead vocalist, sax or trumpet player to add guitar pedals to their audio signal path just like an electric guitarist adds effects for soloing. 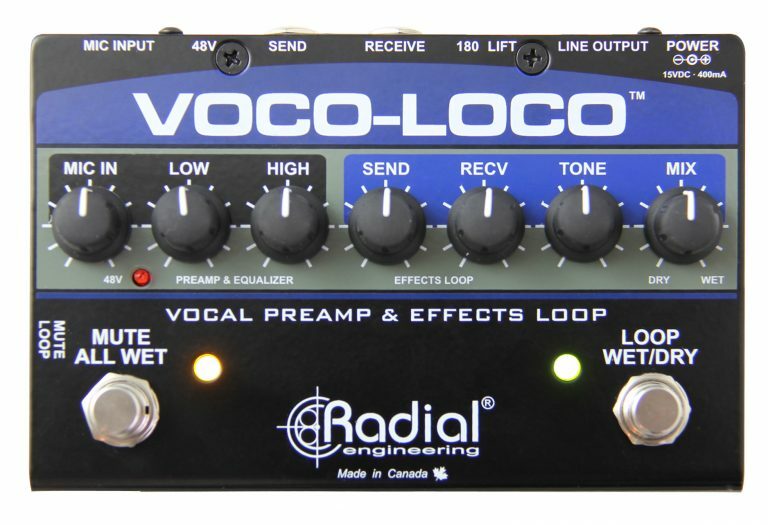 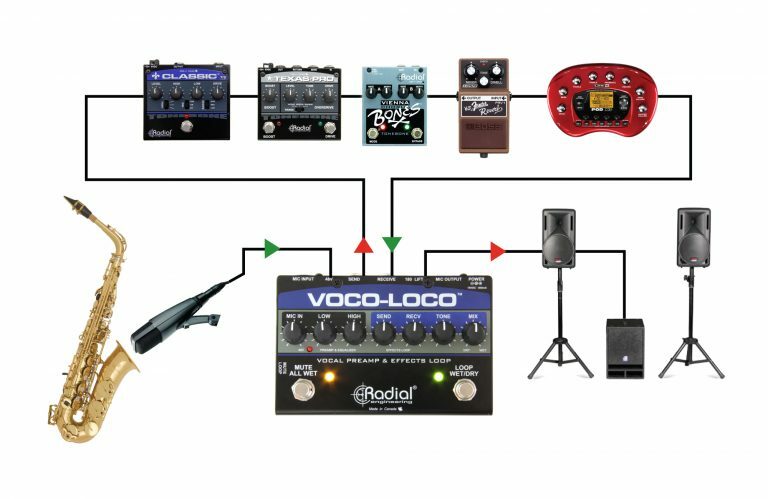 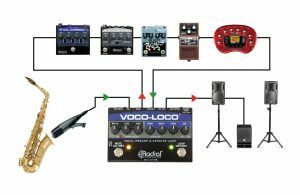 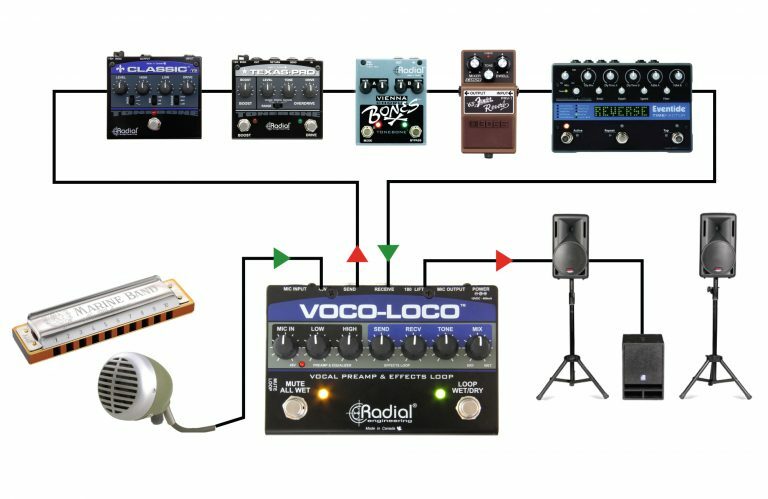 Simply plug your mic into the Voco-Loco via the XLR input, connect your effects pedals using standard ¼" guitar cables, and then send the output from the Voco-Loco to the input on your mixer. 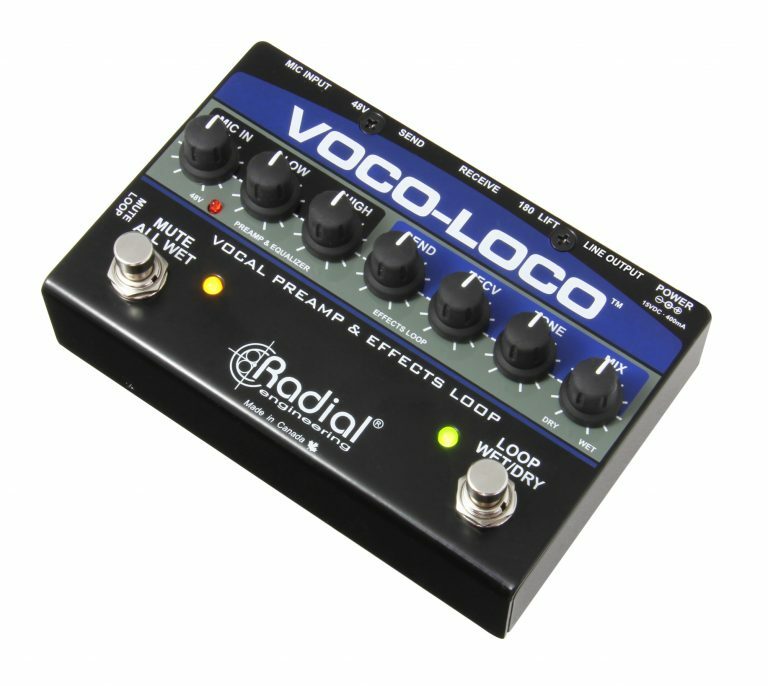 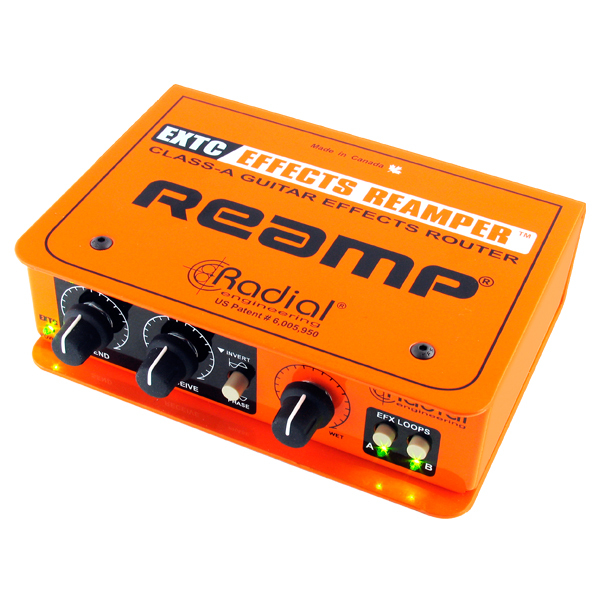 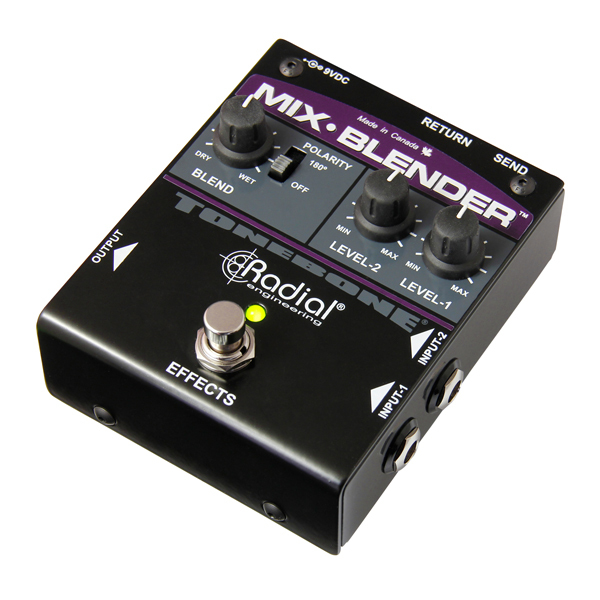 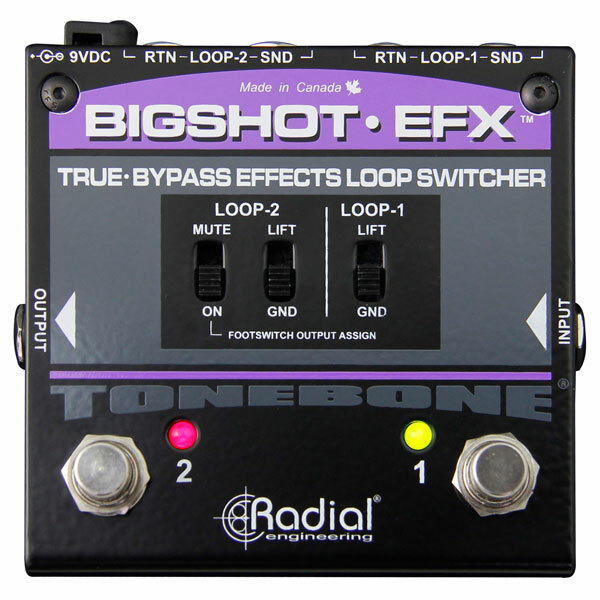 Now with the touch of a footswitch you can add your favorite delay, reverb, distortion or wah-wah to any mic'd up instrument or vocal - the options are only limited by your imagination. 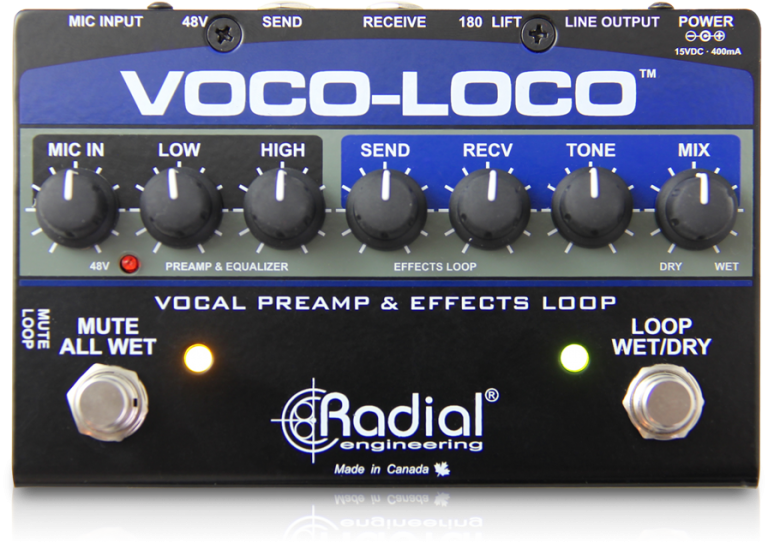 Plug your microphone into the Voco-Loco and add exciting effects using guitar pedals for echo, reverb or distortion and control the effects the way you want. 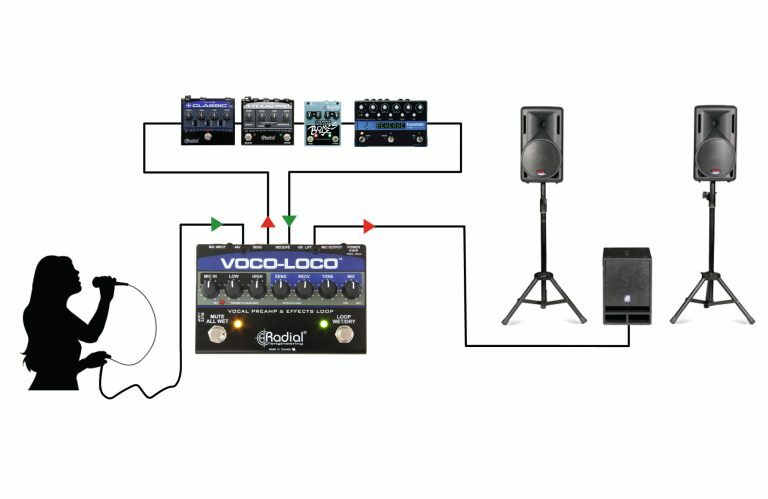 Add echo, chorus or wah to you sax or trumpet to make your solos stand out from the crowd and deliver a unique performance to the audience that they will never forget! 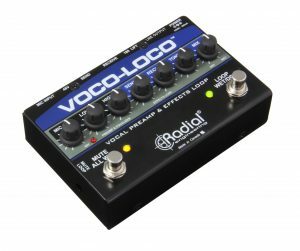 The Voco-Loco lets you incorporate a chorus, overdrive and reverb to your harp solos to deliver amazing tones without having to bring an amp to the gig. The blues never sounded so good!